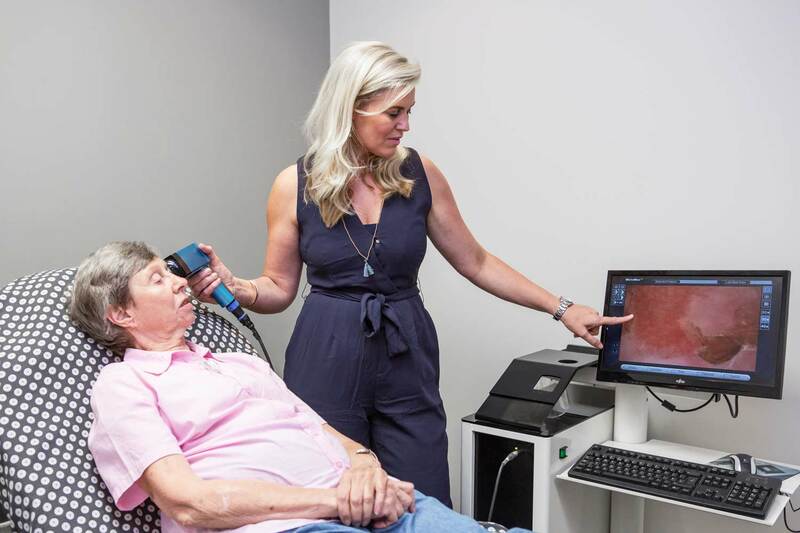 At Atlantic Dermatology and Laser, our skilled dermatology team has extensive experience in the screening of your moles and in the early detection, diagnosis, and treatment of all types of skin cancer. We provide expert care for patients with melanoma and non-melanoma skin cancer, and preventative assessment and care for people who may be at heightened risk for these malignancies. Early detection improves the outcome for all forms of skin cancer, and we encourage our patients to familiarise themselves with the signs of skin cancer and to come in for routine full body assessments.Our special interest in skin cancer screening, solid grounding in the field of dermoscopy, adept eye at picking up any irregularities in lesions and progressive use of cutting-edge technologies are fundamental in our impeccable detection of even the earliest of malignancies. We consider ourselves partners in your skin health and will work closely with you to develop a personalized treatment plan and provide unparalleled support should a malignancy be identified. We understand that the diagnosis of a malignancy is daunting and will never underestimate its impact. It is our commitment to make our relationship and care for you our first priority in our endeavour for an unparalleled patient experience despite the most disconcerting of diagnoses.